Bring in wary geese with ease! 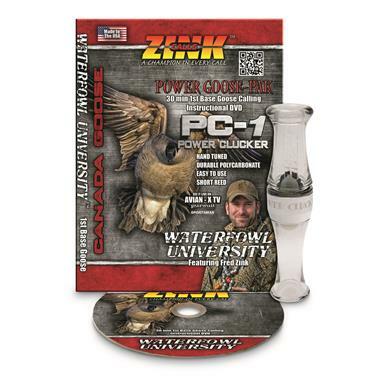 This Zink Goose Power Pak combo includes a hand-tuned Power Clucker PC-1 polycarbonate call and a 30-minute Waterfowl University instructional DVD featuring Fred Zink. The Polycarbonate Call is easy to use, durable and features a short reed. This deadly duo is great for novice waterfowl hunters looking to improve their calling confidence.